I gave up ironing the silk. 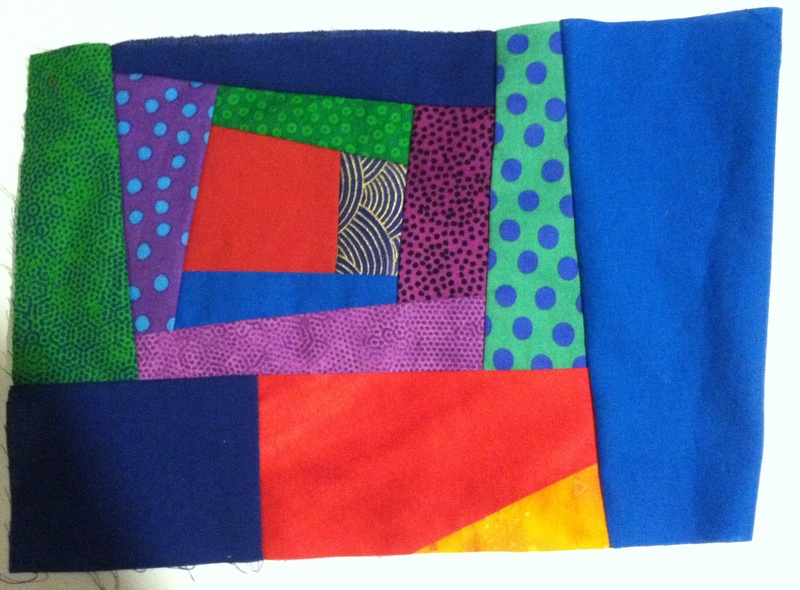 I took it to HelloStitch and used their serger to hem it. The serger is a fancy sewing machine that cuts off the edge and sews sort of a blanket stitch around the edge. This is frequently used for sewing t-shirts or jersey cloth. 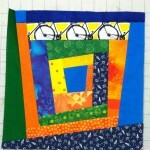 In other news, I’m teaching a Wonky Log Cabin class this Sunday, Feb. 3, at HelloStitch from 10 AM- 1 PM. There are 2 spots left in the class. Whether or not you know how to make a traditional log cabin block, come join Claire and learn how to make a wonky/improvisational one! 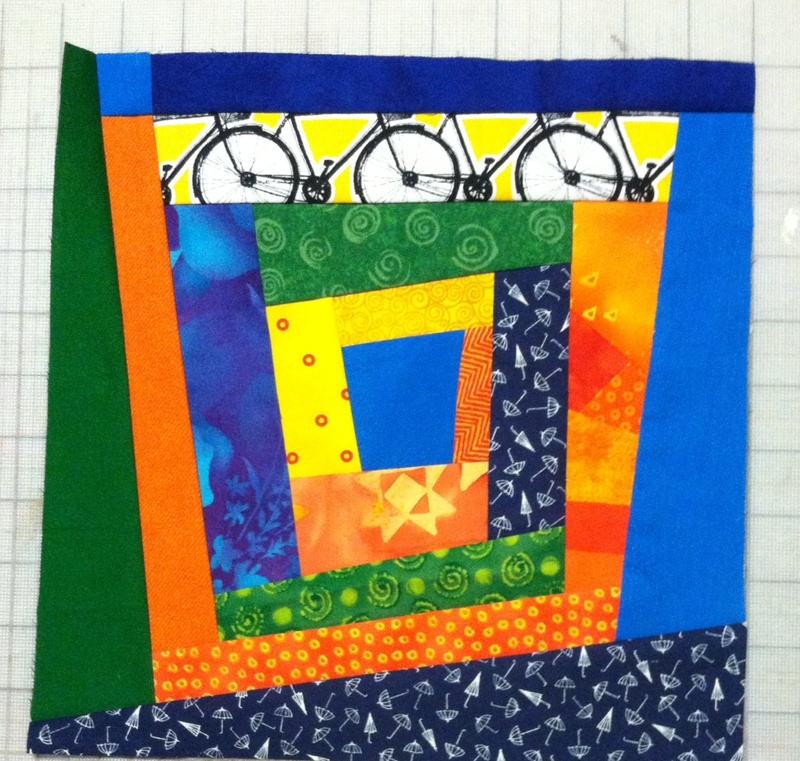 Learn a little about improvisational quilt design as we look at our log cabin blocks. It’s amazing what you can make with left over strips of fabric. This is a great way to use your scraps. The class is a process class. 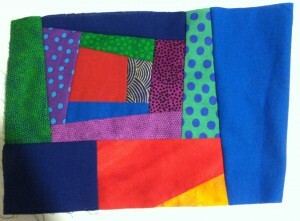 However, Claire will discuss how to turn these sample log cabin blocks into a quilt. This class is appropriate for beginners on up. This entry was posted in Classes, Improvisational piecing, Work In Progress and tagged wonky log cabin. Bookmark the permalink.